We don’t have many jobs in the Gold Coast Hinterland but more and more people are realising the short commute to work outweighs the advantages of having your own piece of lush rainforest. 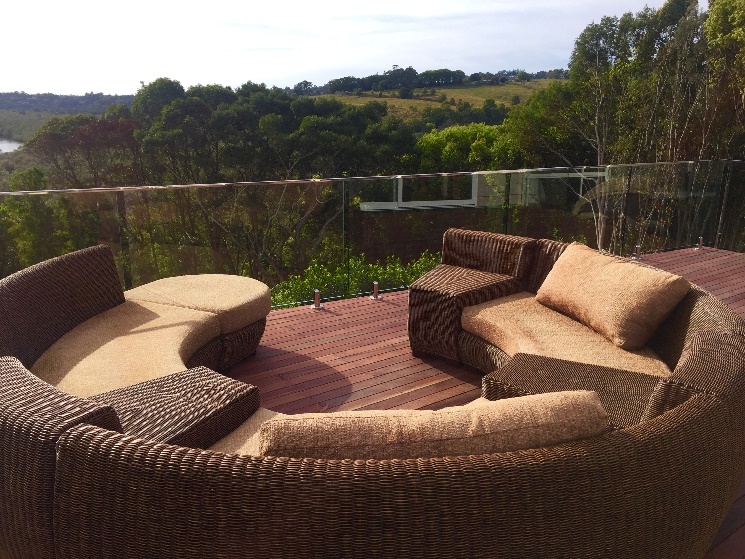 What makes your property even more attractive of course is when you can have a fully frameless glass balustrade installed on your deck to enjoy the uninterrupted views of the Gold Coast Hinterland. The owners had recently purchased what was quite a plain house with great views from the back windows. What better way to capitalise on those views than build a deck and extend the living area of your home out in to the forest. We were able to consult with the builder as he was doing the deck and this made it easier to make sure that all the joists were doubled or tripled to ensure that when we fixed our stainless steel spigots to the deck. It is important for the structural integrity of the design and the balustrade that the spigots have a secure footing. When we arrived we knew why the owners wanted a glass balustrade, the view was amazing. Looking out over the water from the back deck. This was a balcony that only a fully frameless glass balustrade would do justice to. The owners were very excited to finally be able to put their new outdoor setting out on the deck and watch the sun disappear over the horizon. 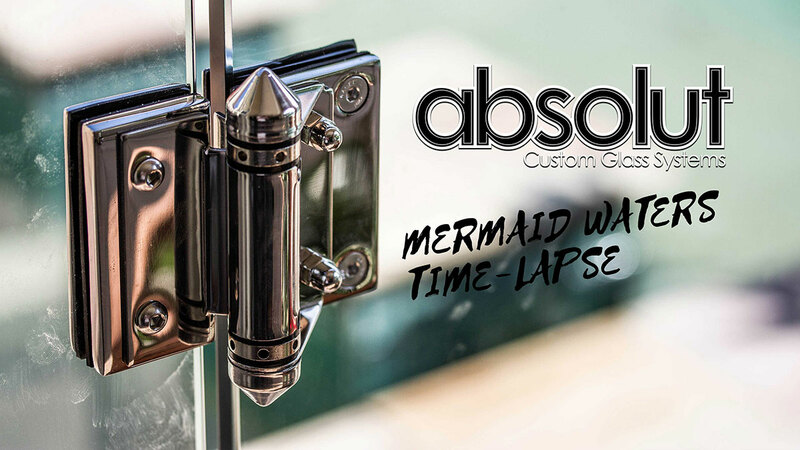 Another happy Absolut Custom Glass Systems in the Gold Coast Hinterland.